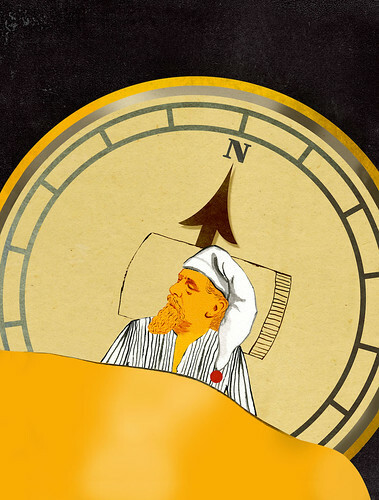 Charles Dickens (1812–1870) carried a navigational compass with him at all times and always faced north while he slept—a practice he believed improved his creativity and writing. As we knock on wood, we might spare a thought for Michael “Mick” Ronson; he died on this date in 1993. A guitarist, songwriter, multi-instrumentalist, arranger, and producer, he is best remembered as the foil to David Bowie in his breakout years, the leader of the Spiders from Mars. 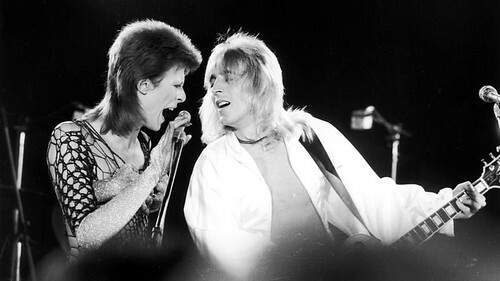 But Ronson also served as arranger and occasional producer on Bowie’s work. He went on to a successful career as a session musician recording with the like of Ian Hunter, John Mellencamp, Elton John, and Morrissey, and as a sideman in touring bands with Van Morrison and Bob Dylan (Ronson was the anchor of the Rolling Thunder Revue band). He wrote and recored successful solo albums, and produced albums for acts including Ellen Foley, Roger McGuinn, Morrissey, and many others.